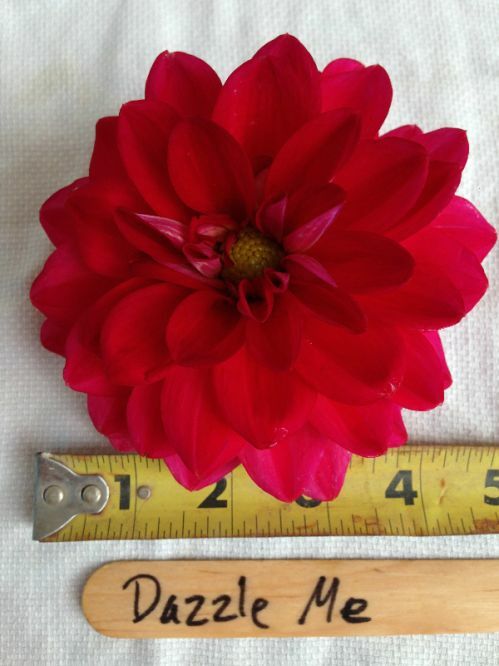 A fabulous 4" red with pink toned dahlia with a touch of yellow down in the middle of the flower. A perfect size with a unique color for all types of bouquets and arrangements. It definitely dazzled us this summer with its consistent production of perfect blooms.